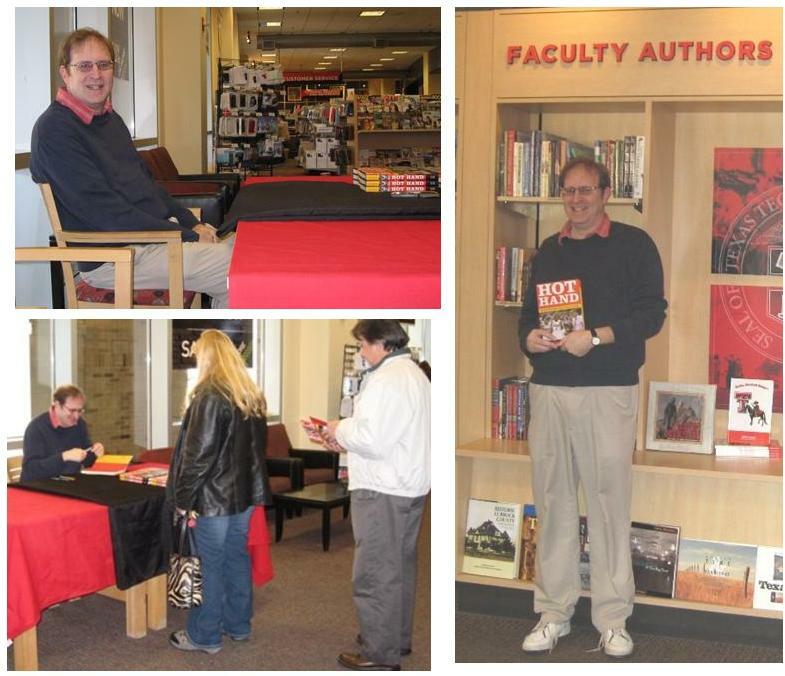 Today, I did my first-ever book signing, in the bookstore of my home university, Texas Tech. Several people, mainly friends and colleagues, came by. Thanks to everyone who came by to chat and/or buy the book!